R&B/Pop sensation Jaz is making a bold statement on the music scene with her debut single, “Bout That” produced by Remo The Hitmaker. Jaz devoted passion for singing and great music is not allowing her to sit idle. Having a hunger to musically entertain the world one song at a time, Jaz continues to tirelessly hone in on her already naturally gifted voice and sharpen her dance skills to stay prepared for the world.Without actually being signed to a record label, Jaz has already earned a place as a talented trendsetter among the industry elite. For this California based star, working with Remo The Hitmaker is a dream come true. This dynamic duo has already delivered an impressive hot radio/club dance song. It’s catchy new flavor mixes Jaz’s unmatched vocals with a futuristic beat that will surely have people from all walks of life declaring that they are “Bout That”. “Bout That”, is just the beginning for this talented young lady. In additon to having a hot new single that remains in heavy demand across the nation. Jaz consistent growing number of fans have been able to keep up with her strategic moves through her various interviews featured on popular new sites such as ThisIs50, WorldStarHipHop, Paperchase, iMove iLive Online Magazine, iCNN, Real Talk Radio101, Stay Ready Radio, Blaze 1 Radio and others. Recent and upcoming performances includes sharing the stage with Diggy Simmons, Jacob Latimore and Trevor Jackson, Jan 17th (Redondo Beach, CA), Jan 30th Xen Lounge (Studio City, CA), Feb.28th Urban Street Jam, (Anaheim Convention Center, CA), May 8th – 10th Spring Classic Showcase, (Venice Beach, CA). Additionally, the “Bout That” video was televised in over 130 Shiekh Shoes Retail Stores in 10 states during the holiday season. In addition to working with New Wave Music team (Remo The Hitmaker, Tay Bell and Hunc) Jaz is privileged to also work with Los Angeles based, Grammy nominated producer and pianist Kevin Randolph, who have produced for artist such as Jay Z, Drake, Rihanna, Keyshia Cole, Estelle, Mindless Behavior, Sevyn Streeter and most recently Trey Songz 2014 project,”Trigga” to name just a few. Besides adding established songwriter/producers to her winning team, Jaz has also added executive talent scout (BET Network), artist development extraordinaire Big Mike Rob to her management team. “Bout That” brings fun encouragement for success to R&B. The song is about not allowing age to be a road block in going after your dreams. Jaz makes it clear that she is on a mission for success by effortlessly singing lyrics declaring she is about handling business in a classy, professional, impressive manner. 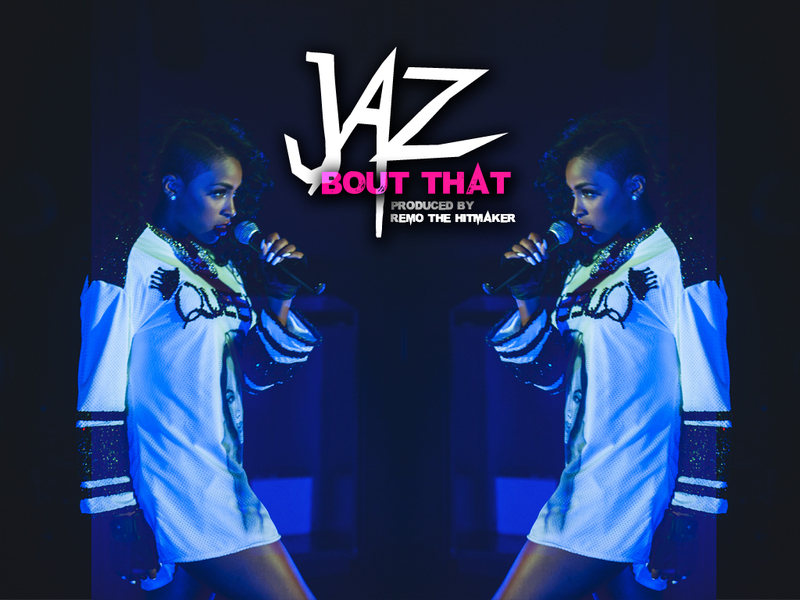 From the overwhelming positive response to this song that is currently being played nationwide, Jaz is not only “Bout That” she is all that. Young adults all over the world will be inspired by this beautiful and talented performer. Stay tune for everything she has coming out. She has created a winning team and there are no signs of slowing down for this “next rising star”. “I’d rather be known for doing good things than doing bad things”. Determined to use music as a means to give back to the community, Jaz is putting her years of artist development training to good use. Previous Entry Who is Yng Rell?